This card was a CASE from a swap I received at Stampin' Up! 's 2010 Convention last July. I would love to give the person credit but she didn't put her name on the back! She had used Real Red and Basic Black but it looked more Asian to me so I used Elegant Eggplant instead. 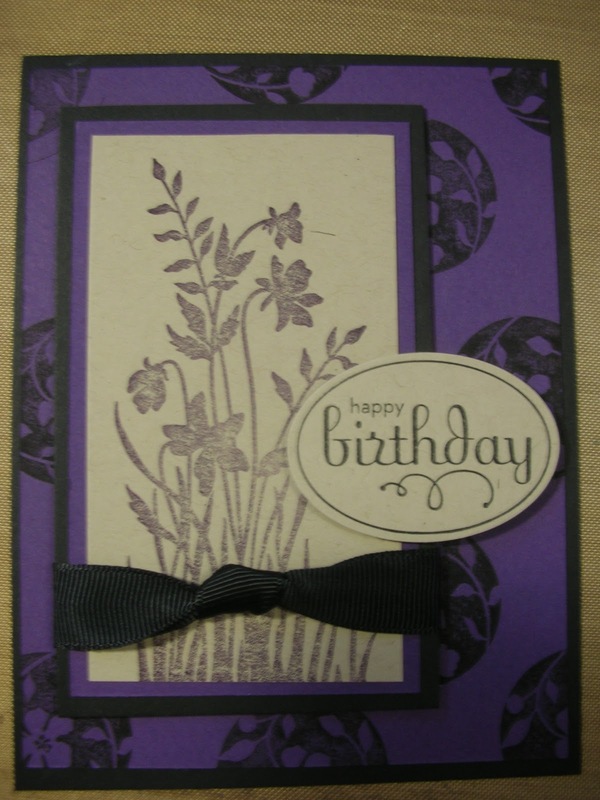 Remember to go back through cards that you made before to get new inspiration or sign up for a swap - it is a great way to get ideas!